Where are you from? I grew up in Lee’s Summit, MO and attended Lee’s Summit High School. 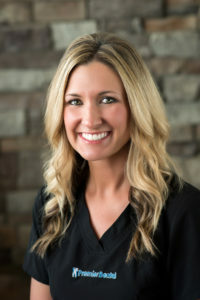 Educational Background: I graduated from Lee’s Summit High School, received a Bachelor of Science in Cell and Molecular Biology from Missouri State University and graduated from UMKC School of Dentistry with an emphasis on Cosmetic Dentistry and Endodontics. What do you do for fun? Take my two year old son to the pool and park. I also enjoy playing golf and soccer. Going to Branson and boating on Table Rock Lake. Favorite food: Lobster tail or crab legs. Anything off the grill. You may not know: I proposed to my wife on the Eiffel Tower. Also, I have traveled to France and Italy 5 times. 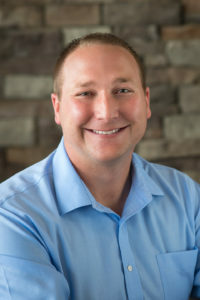 Educational background: I graduated from Blue Springs South High School and continued my education at University of Central Missouri. 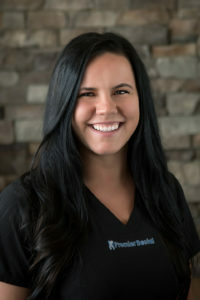 I have 4 years of experience in the dental field. What do you do for fun? I enjoy spending time with my family and friends, night walks, going to the lake, working out, and cleaning! Favorite store to shop: Victoria’s Secret and ANY Shoe Store! You may not know: My absolute favorite part of life is being a mommy of two perfect little humans, Kannin and Kaisynn! Oh … and I am extremely OCD! Where are you from? I grew up in Grain Valley, but currently live in Blue Springs. 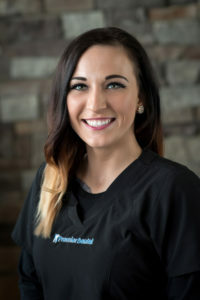 Educational background: I graduated from Grain Valley High and completed Dental Assisting School through Concorde and am currently continuing my education in the field of Radiology. What do you do for fun? I love to fish and hunt, but most of my free time is spent with friends and family. Favorite food: A medium rare steak with a delicious garden salad and sweet potato! Favorite store to shop: Kirkland’s Home for home decor and Petland to see cute animals!! You may not know: I can eat a whole jar of zesty pickles in one sitting. I also can wiggle my eyes! Where are you from? I grew up in Lee’s Summit and went to Lee’s Summit North for high school. Educational background: I attended the Dental Hygiene School at UMKC, where I graduated with my Bachelors of Science in Dental Hygiene. What do you do for fun? I love going to the lake with my family and friends in the summer. Favorite food: I love Mexican food and usually fill up on the chips and salsa! Favorite store to shop: Target always gets me in trouble! I’ll walk out with way more than I went in for!! What toothbrush do you use: I love my Sonicare! You may not know: I can wiggle my ears!